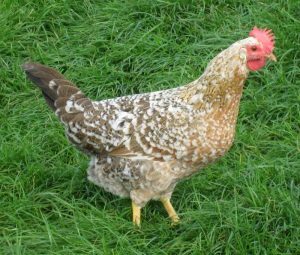 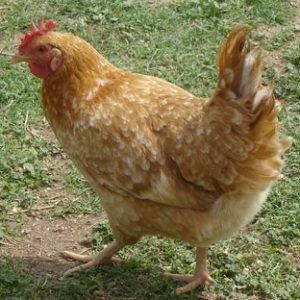 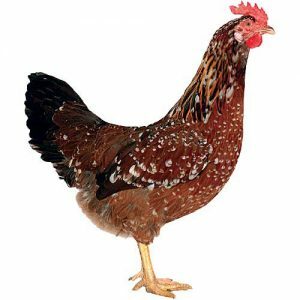 This Mottled Leghorn hybrid has stunning random markings, a small size hen laying large numbers of white or cream coloured eggs. 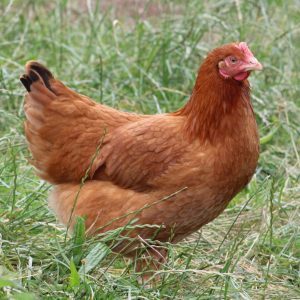 She is so popular I have not yet managed to add one to my own flock!! 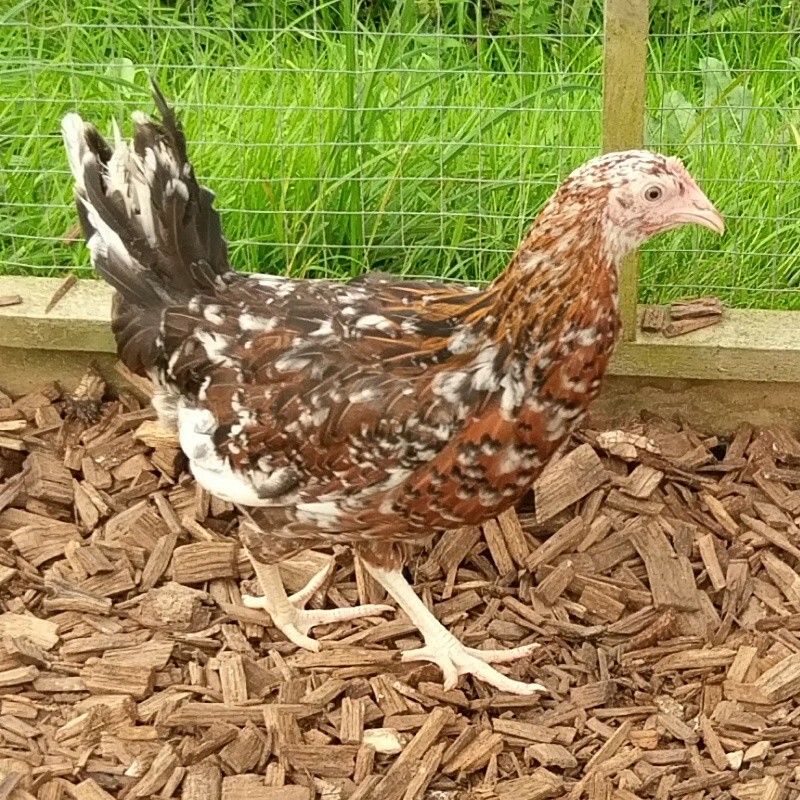 She is an active light weight bird laying around 280 white or cream eggs in her first year.